The main project that will be conducted in this program has two distinct parts. There are 5 teams of 5-6 students allowing for a range of expertise to be brought to the collaboration. What is probably most exciting is that the work the students will be ideating are visions for the museum to consider as they prepare to move into their new consolidated museum. Currently the National Museum consists of four different physical buildings, The National Gallery, The Decorative and Applied Arts Museum, The Museum of Contemporary Arts, and the Museum of Architecture. 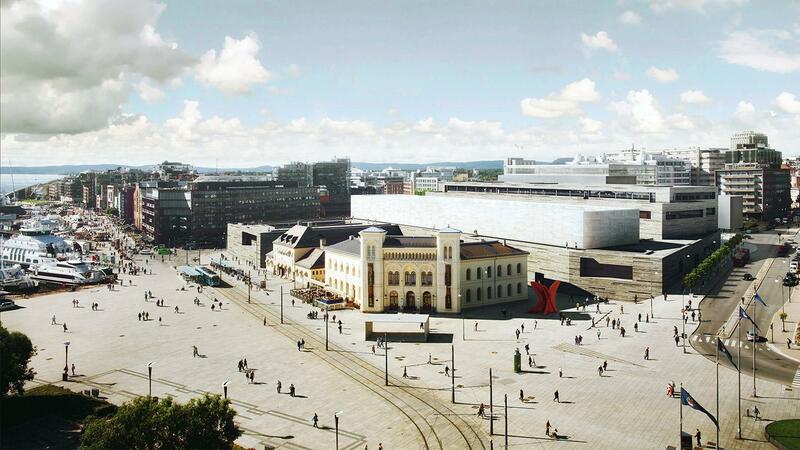 Currently under construction is a building to house all of this and serve as a showcase art museum for Oslo. The design brief that has been developed to structure this first part of the program varies a bit from what most designers know as a design brief. This brief requires a heavier representation of museum and learning studies than most typical briefs that can be quite literal in addressing project deliverables. The literature review will reveal larger concepts that should manifest themselves in the intended outcome. As students are conducting this within the scope of an academic experience, the lifting up of the associated theories will grant everyone the opportunity to see how theories can then be translated into practice. In this way, the project provides a learning curve for both parties. For the UiO students,this represents an opportunity to not only work with designers, but to understand what type of brief will allow a design team the needed framework and latitude to best exercise their creative activity in acting on a project. For the UTK students, it is an understanding of how to use language and theory to frame a problem that allows for flexibility in the outcome. This first part of the project will culminate in a presentation to the National Museum staff who will then select 3 proposals for the UTK students to then develop further into a prototype for a second presentation later in June. Stay tuned!